Ruminations | Come for the words, stay for the…HEY! Come back! I’m delighted to share the news that I’ve started at Handsome this week! Handsome is an Austin-based Holistic Experience Design Agency that conceives and develops beautiful, integrated, thoughtful brand experiences, services, mobile apps, websites, VR experiences, and more. I’m particularly excited about the Technical Director role I’ve taken on because it will allow me to straddle the discipline of creating software, which I love, and building and supporting a team, which I enjoy and feels valuable to me. I’ll also be building support for a more distributed talent team, allowing the company to benefit not only from the brilliant designers and developers that Austin enjoys, but others from around the country and the world. The people at Handsome are thinkers, dreamers, capable, diverse, interesting, and gracious human beings. (And a few are folks I know from previous roles and already think very highly of.) The offices are beautiful. And the work is satisfying, both creatively and as an opportunity to do something meaningful. I’m excited about this next chapter of my professional life, and as time goes on, look forward to sharing more of the things we build together. After we were having some trouble with the chart we had for it at rehearsal tonight, I worked out a new chart for the beautiful Gilles Chabenat tune Crested Hens. Grab the chart right here if you’d like to add it to your songbook. Howdy folks! I’ve been thinking about and studying Machine Learning off and on for a year or more now, and have recently started writing another blog covering my thoughts on that subject. If you’re interested in that sort of thing and would like to follow along, come join me at ML Nexus! I’d be glad to have your perspective on the things I’m covering there. I’m happy to share the news that I’m joining up with Banjo Digital, an AR/VR firm in Austin that creates experiences for simulation/training, education, product design, and marketing. I’ll be serving as Technical Director, and will be starting next week. I’m excited about the move and look forward to doing great work together there! If it weren’t for Ben Mengden, I’d probably never hear any new music. Though I play with various musicians fairly often, I don’t actually turn on the radio and listen to new stuff very frequently at all. (I listened to nothing but The Beatles for about nine months in high school.) Fortunately, I have a few comrades who have both good taste and enthusiasm for sharing, Ben foremost among them. On a Stupid Guy Trip about 10 years back, several of us were traveling from central Texas to Santa Fe. The drive was long, and we had ample opportunity to visit, to stop and pose with a giant roadrunner sculpture (thanks Stockton! ), to play various games in dubious taste, to eat three pounds of beef jerky, and to dig deep into Ben’s CD collection. “I’ve got a few bands you need to hear!” Ben exclaimed as he led us on a tour through his current listening. Among them were two that I immediately became a fan of: Bright Eyes’ “Balance Beam” instantly caught my attention with Conor’s breaking, nearly out-of-control vocals and the subtle ostinato of the hammered dulcimer — an instrument one almost never hears in popular music — woven subtly into the mix. The other was The Electrics. I’d started playing some traditional Irish with Robert Leahey and Steve Johnson several years previous, with some later encouragement from Brandi Midkiff. Robert and I even went so far as to build some our own pennywhistles out of PVC pipe and wooden dowels. (My hideously ugly low E was still in service until very recently.) But The Electrics took those traditional sounds and added electric guitars, drums, and a whole load of energy and enthusiasm. 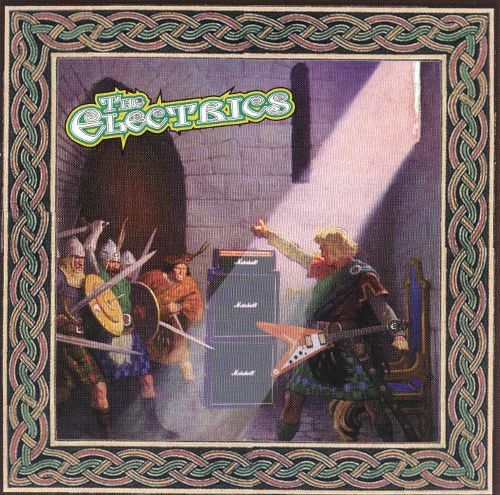 They were my first introduction to Irish rock, and I loved it. I forced the other passengers to listen to the entirety of their “Livin’ It Up When I Die” album twice more on the trip, and then Ben, ever a generous soul (or possibly wanting to avoid yet another listening session), gave me the disc to take with me. I wore it out. Kris and I got married at the end of April and decided that, since her dear friends Beki Hemingway and Randy Kerkman were living in Wexford, and because it’s a beautiful place to which neither of us had even been, we would go to Ireland for our honeymoon. We took two weeks to tour the Emerald Isle, visiting the Giant’s Causeway, enjoying Guinness and Bulmer’s, seeing the ravages of The Troubles in Belfast, listening to traditional music, flying hawks in Cong, befriending sheep, and hiking through an enchanted forest adjacent to Ashford Castle. We spent the first days of the trip, however, in Wexford with Randy & Beki. One evening as we were returning from a day trip, Beki asked “Should be stop by and see Sammy and Kylie? They’re married friends of ours, musical missionaries who perform together as a couple. They’re terrific people, and great musicians. You guys should meet them!” A few quick texts verified that they were at home and up for company, so we stopped by. I fanboyed continuously at Sammy for about 5 minutes, after which he very graciously wiped off my enthusiastic spittle and gave us, not only the remaining Plopp, but also the CDs of the The Electrics that I didn’t already have and a thumb drive with all of his and Kylie’s music. The discs were a delight, and became the soundtrack for the rest of our honeymoon, both because of the kindness and generosity they represented, and because they’re some darn fine tunes. But I was still excited about the prospect, so I pulled out my Blu mic, stuck it on a stand in my closet among all of the clothes on their hangers to get the driest signal I could (science! ), fired up Garage Band, and threw down a few whistle tracks, doing several takes to get them as polished as I was able. I had a grand time working out the parts and recording them, so figured even if Sammy wasn’t keen on them at all, it was still time well spent. My forwarding address for several days was Cloud Nine. Not only had I gotten to meet one my major musical influences, but now through a phenomenally serendipitous series of events had actually gotten to collaborate on a musical project with him from across the ocean. What a treat! So, if you’re curious about this track, go check out Sammy’s kickstarter for the upcoming 2 disc project Worship Like a Celt. 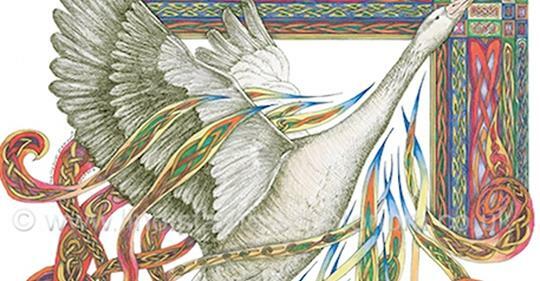 He’s brought a large collection of musicians together to explore the ancient Celtic influence on spirituality and worship. Sammy’s been working terrifically hard to make this a really solid project (as have Kylie, Beki, and Randy), and I’m excited to finally hear the finished product. And if you’re ever an hour south of Dublin, you might stop by and say hello. 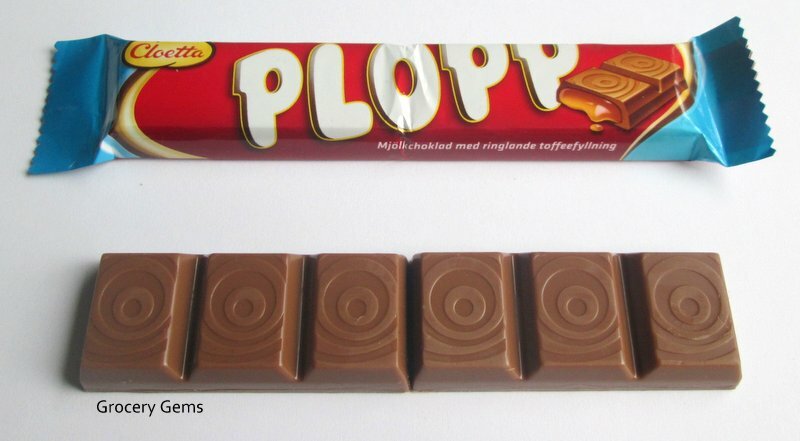 Just don’t forget the Plopp. After 6 educational & exciting years at Mutual Mobile, I am once again officially on the job market! My ideal position right now would be that of a Technical Director or CTO for a small company. However, I do love development, and would be glad to put my shoulder to the work in Unity, iOS, or web as well. I plan to stay in San Marcos for at least another year, so working remote, in San Antonio, San Marcos, or Austin would be my best options. I’m currently updating my portfolio, and you can see my resume here. Please email at sean@mcmains.net if you spot anything you think I should have my eye on. February 6, 2018 Update: I figured out a workflow with the experimental .NET 4.6 support in Unity to actually make this work with Daydream, and have updated the workflow here. This solves the annoying caveat that I’d previously posted. Verify that the auto-generated documentation on the right looks correct. Choose “Csharp” from the “Download → Client” dropdown. Unzip the downloaded csharp-client-generated.zip file. Build your DLL: /bin/sh build.sh or build.bat if you’re on windows. Your DLL is now in the “bin” subdirectory of the downloaded folder and is called “IO.Swagger.dll”. Copy this to your “Scripts” folder in Unity. Find “Newtonsoft.Json.dll” (packages/Newtonsoft.Json.10.0.3/lib/net45/Newtonsoft.Json.dll) and copy it to your “Scripts” folder in Unity. Find “RestSharp.Net2.dll” (packages/RestSharp.105.1.0/lib/net452/RestSharp.dll) and copy it to your “Scripts” folder in Unity. You’ll also need to round up the DataAnnotations DLL from somewhere in your Unity package (Unity.app/Contents/MonoBleedingEdge/lib/mono/4.5/System.ComponentModel.DataAnnotations.dll) and copy it into your “Scripts” folder in Unity. Unity loads the DLL and makes the IO.Swagger namespace available to you. Take a look in the docs folder of the project you downloaded from the Swagger editor. It includes nice Markup files with C# sample code documenting the APIs in your new DLL. The sample code makes a great starting point for accessing the DLL’s functionality. This doesn’t currently work when running on Android due to this bug in Unity’s .NET implementation. We ended up doing a last-minute rewrite to use Best HTTP instead, which was a crying shame. Hoping this bug will indeed be fixed in the future and make this workflow viable on that platform. Out for my morning constitutional in an unfamiliar Dallas neighborhood this morning, I stumbled across a couple of bikes that weren’t chained up, seemed in good repair, but were conspicuously not stolen. “Odd!” I thought, and slipped across the street to take a closer look. Their frames were of the 40 pound, nearly-indestructible sort favored by bike rental companies and they were painted a bright yellow. As I got close enough to read the placard in the basket, I realized that’s just what they were. They were owned by Ofo, a company I hadn’t heard of, but which promised the first ride free, the drug dealer’s favorite promotional strategy. (They evidently just started operations in Dallas.) I downloaded the app, entered by credit card info, and used it to unlock the bike and tool around the neighboorhood for a while. The ride was fun. A cheery bell on one handlebar and a three speed shifter on the other meant ensured that I didn’t run anybody down nor get going too fast — probably a sensible thing, given that Ofo neither provided nor encouraged helmets. The bike itself featured a sturdy basket and was big, heavy, and rigid — good for basic commuting tasks, but nothing you’d want for super-long distances. And the $1/hour rate was eminently reasonable and much more favorable than the other bike rental services I’ve tried. 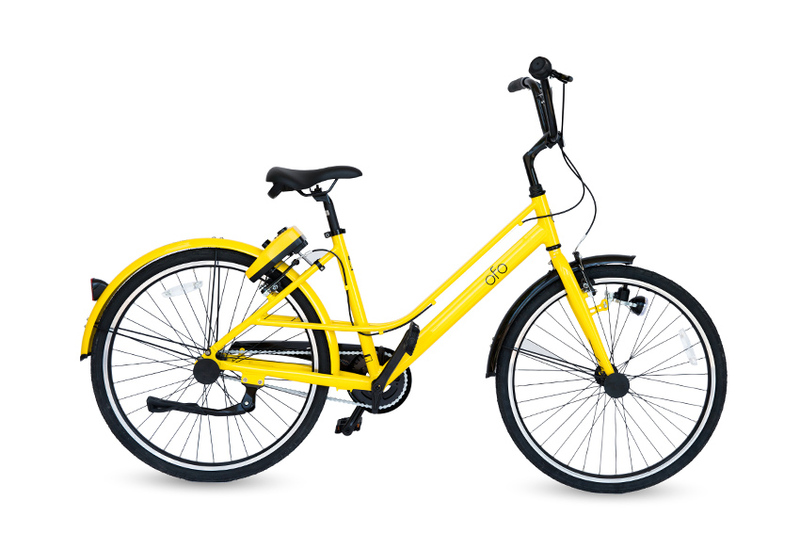 Ofo’s big innovation seems to be not using docking stations. They rely on users to park the bikes legally wherever they end their trips. This doubtless saves costs, but does seem to open up the bikes for theft. They combat this by using bikes that are pretty clunky and unattractive (not a strategy that has worked completely effectively for bowling shoes). There’s already a cellular radio onboard to allow the bikes to be unlocked. While the app asks for GPS access on your phone, presumably there’s a GPS chip as well on the bike so if someone does toss one in the back of a truck, they can keep track of where it goes. All in all, I think this is a great idea. Cheaper rates for bike rental combined with the broader distribution of the vehicles possible without the need for docking stations improved the bike renter’s experience markedly. Seeing bikes scattered around a neighborhood is visually charming in a way that dock-based rental systems aren’t. I think Ofo has a good idea and business model if they can turn a profit with their low rates. The 5 star reviews for their app on the app store would seem to agree.